Save the date!!! 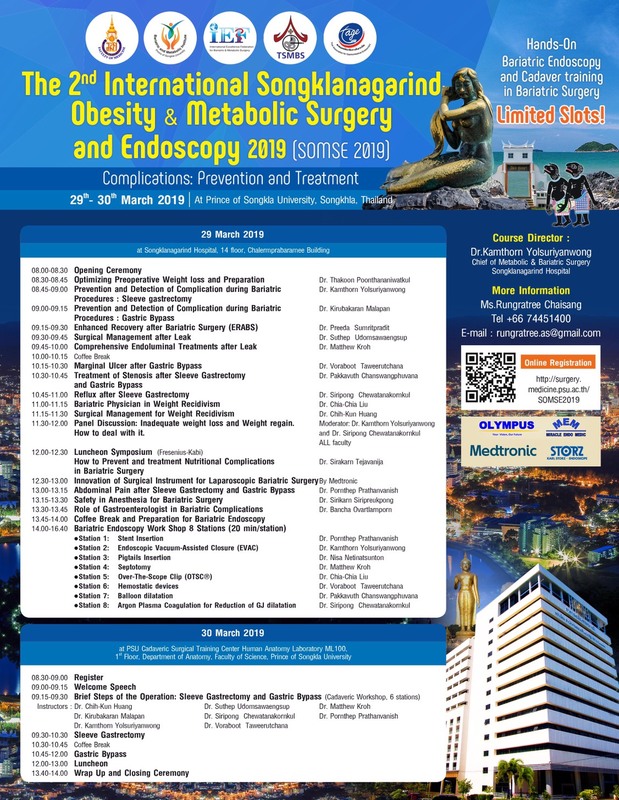 For The 2nd International Songklanagarind Obesity & Metabolic Surgery and Endoscopy 2019 (SOMSE 2019) in The Topics of Bariatric Complications (Prevention and Treatment). 29th – 30th March 2019 at Songklanagarind Hospital and Cadaveric Surgical Training Center, Prince of Songkla University, Songkhla, Thailand. Limited Slots!!! For Hands-on Bariatric Endoscopy (16 slots) and Hands-on Bariatric Surgery in Cadaver (12 slots).